It was another bad day for average mortgage rates yesterday. After a lull on Tuesday, they rose sharply again, though not by quite so much as on Monday. Still, by yesterday evening those rates were close to where they were on Mar. 20, meaning all borrowers’ gains since then have been wiped out. They remain, of course, appreciably lower than they were earlier in March and during preceding months. Although there are some risk factors that could see rates fall again, we are today changing our rate lock recommendation. We now suggest that you lock if you’re within 45 days of closing. However, it might not quite yet be time to panic. Because the data below the rate table are indicative of mortgage rates holding steady today or perhaps just inching either side of the neutral line. However, regular readers will know these morning snapshots are intended as helpful guides rather than bullet-proof forecasts. In spite of all those “bad for mortgage rates/borrowers,” markets look much calmer this morning than they did this time yesterday. Of course, it’s possible the Federal Reserve’s last big statement has established a long-term downward trend. But you can still expect to see rises (such as yesterday’s) and falls within it as other risk factors emerge and recede. And, depending on how near you are to your closing date, you may not have time to ride out any increases. Yesterday, the House of Commons (the parliamentary chamber closest to our House of Representatives) passed by one vote a bill to force the administration to seek a further, longer extension and to prevent a no-deal Brexit. “No deal” would see the country crash out of the EU without any agreement and hope to trade under World Trade Organization rules. Nearly all economists and most businesspeople think that would be a monumental folly that would cause immeasurable economic self-harm. Yesterday’s bill isn’t yet law. It still has to win a majority in the House of Lords, which you could think of as a bit like our Senate, though it’s actually quite different. That majority is likely to already exist but it’s almost inevitable that opponents will do their best to block the legislation using procedural devices. Still, there’s a real probability the bill will be enacted this week or next. Indeed, at the time of writing, there was a good chance it would pass later today. The most likely (but far from certain) scenario now is that the British Prime Minister will request a much longer extension — maybe one or two years — during which the UK can negotiate a new withdrawal agreement — or hold a second referendum or a general election to break the political deadlock. If British politicians eventually find a sensible way forward, that would be good news for the global economy and might see mortgage rates rise. 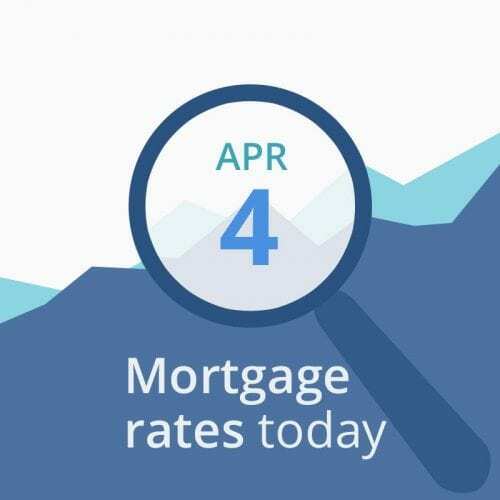 However, if the country crashes out of the EU with no deal in less than two weeks, mortgage rates could dip even further. Still, the administration continues to be generally upbeat about progress. However, others see potential problems. The President’s original Mar. 1 deadline for an agreement passed more than a month ago. But both sides badly need a good outcome, and for similar reasons: First, to burnish political prestige domestically by bringing home a win. And secondly, to step back from economic slowdowns. The last big Fed announcement, which was doveish and ruled out further rate hikes this year, will likely add some downward pressure on mortgage rates in coming months. As we’ve seen in recent days, that doesn’t mean there aren’t other risks (currently known and unknown) that could see them rise, possibly sharply. And those recent rises create new grounds for caution. So today we are changing our advice. We now suggest that you lock if you’re less than 45 days from closing. Of course, financially conservative borrowers might want to lock immediately, regardless of when they’re due to close. On the other hand, risk takers might prefer to bide their time. Although it’s another busy week for economic reports, nothing significant is scheduled for publication today. Markets are likely to be sensitive to tomorrow’s official employment situation report.